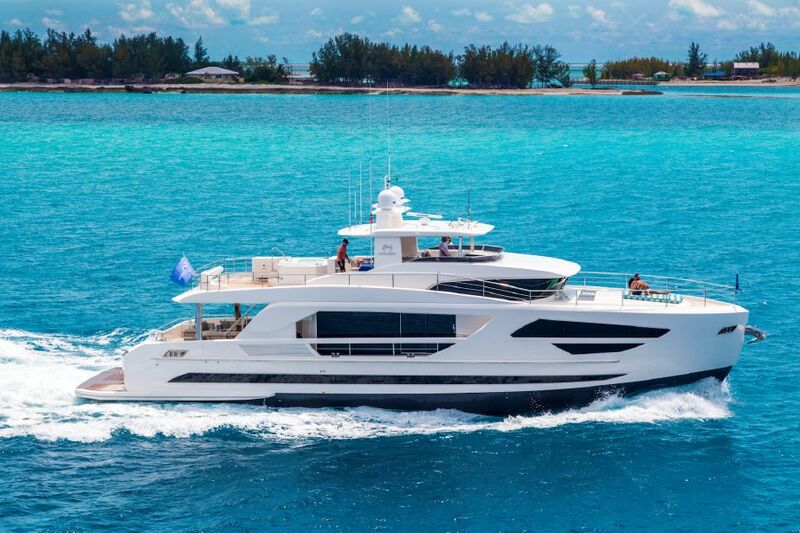 Length 85'6" | Beam 23'3" | Draft 5'9"
Contemporary style lines, creative interior spaces, tremendous interior volume, and flexible cruising speeds – these are the core features of the Horizon FD85 fast displacement motoryacht. 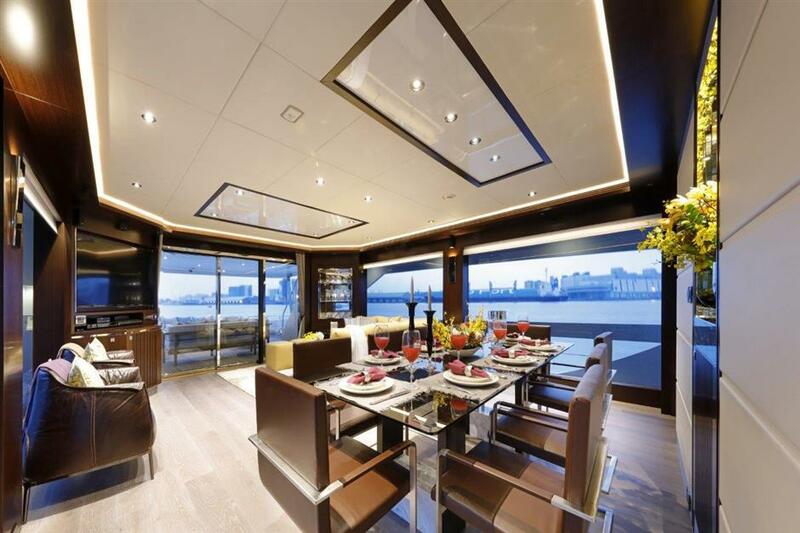 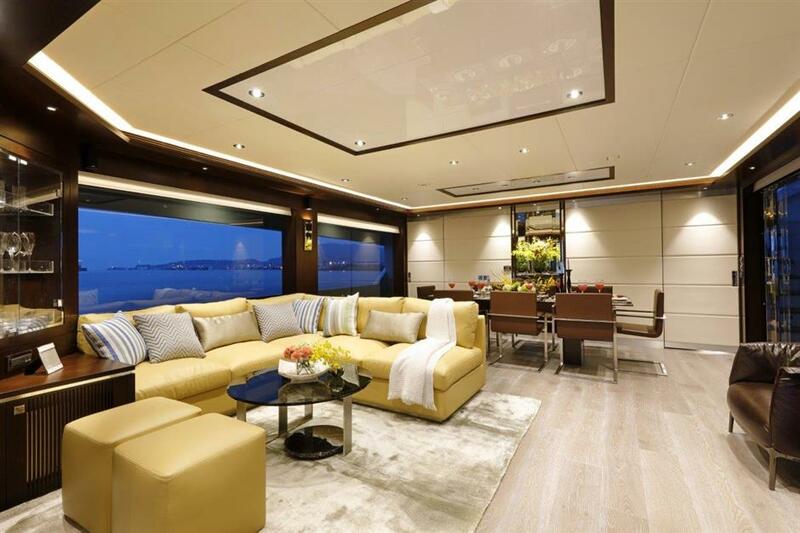 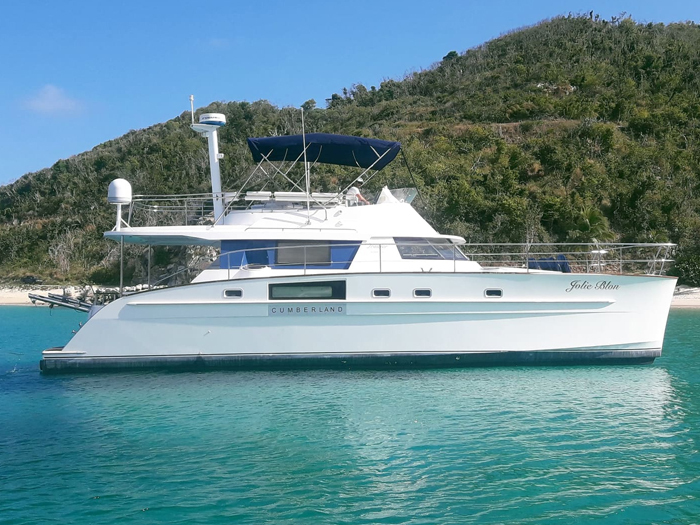 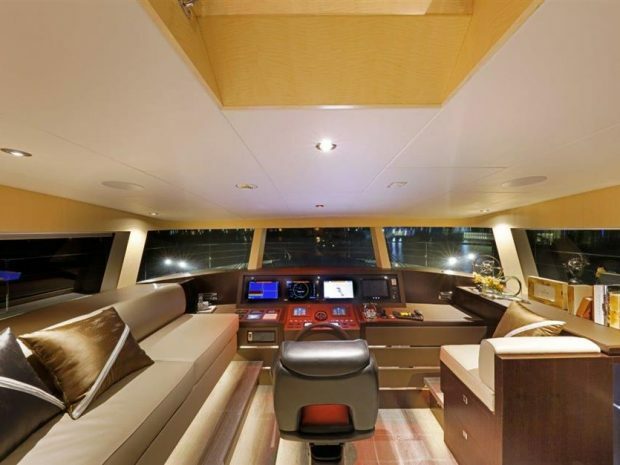 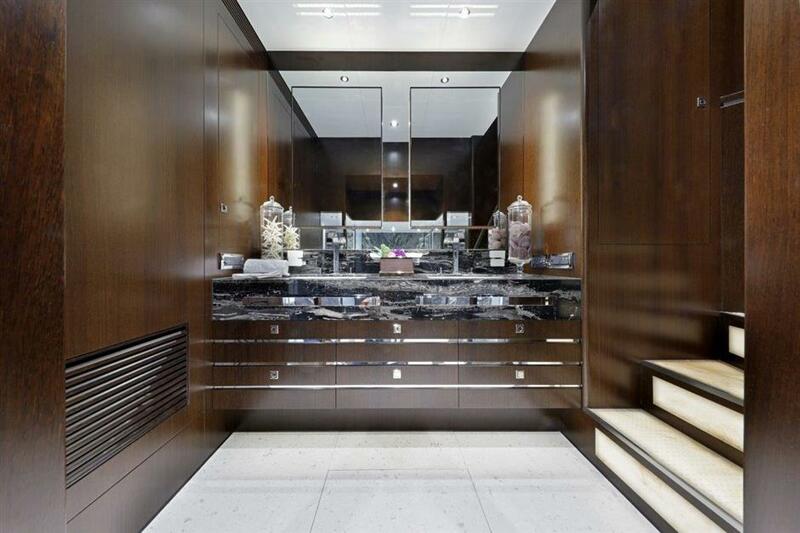 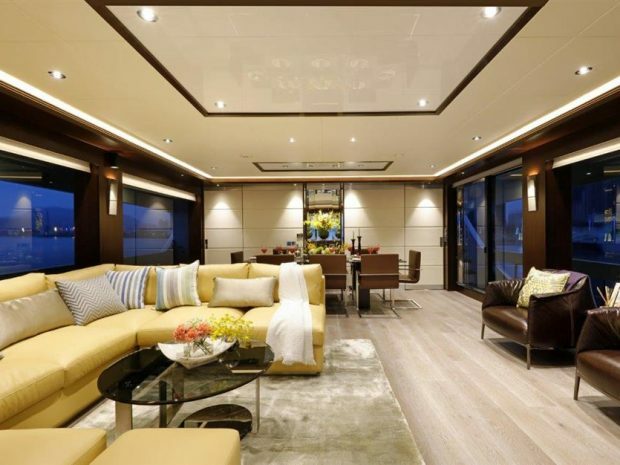 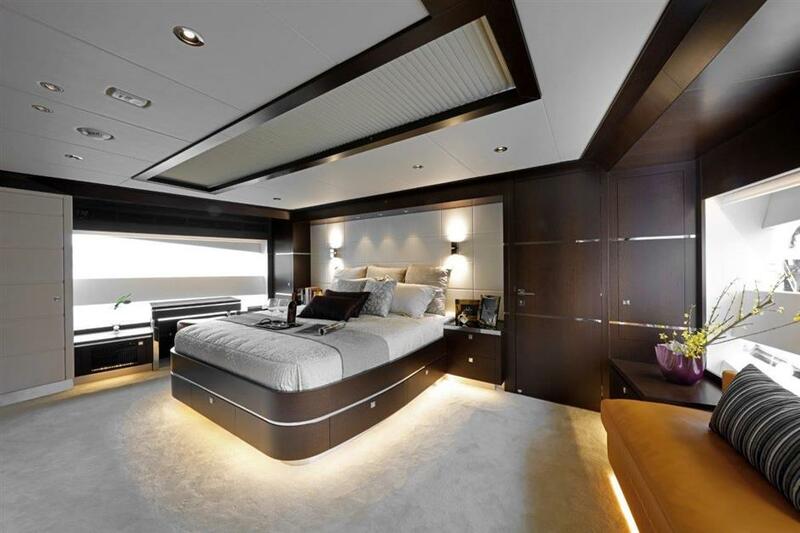 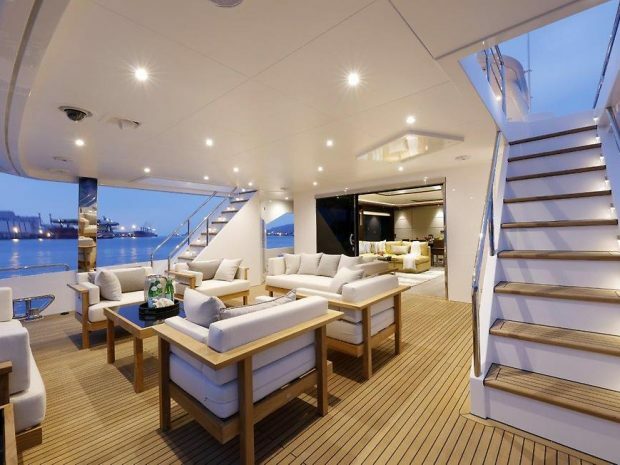 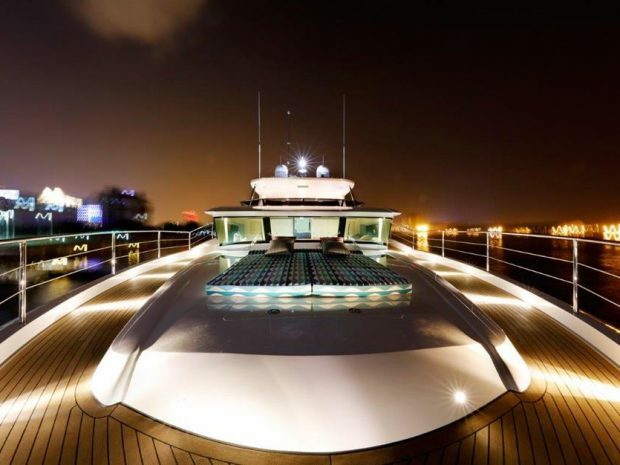 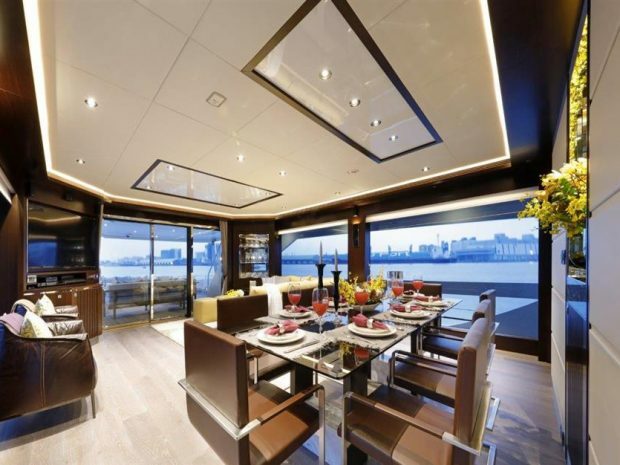 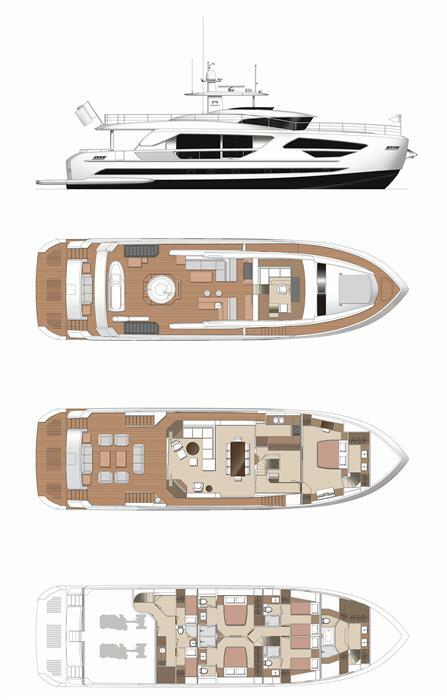 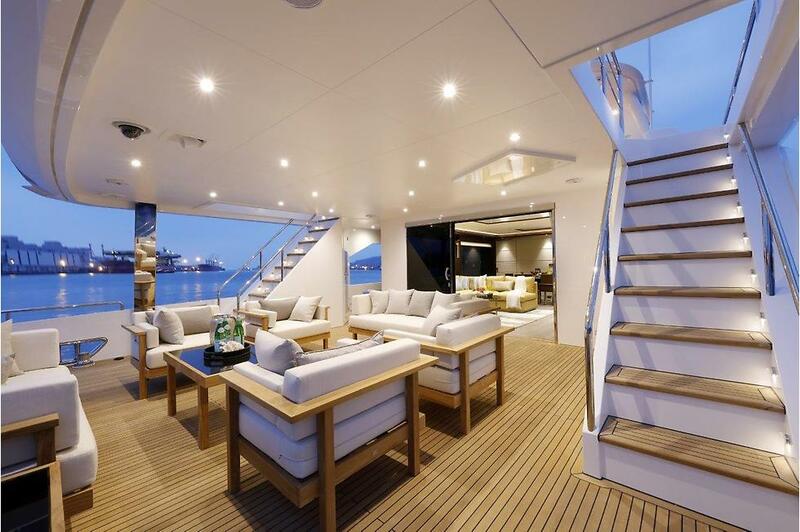 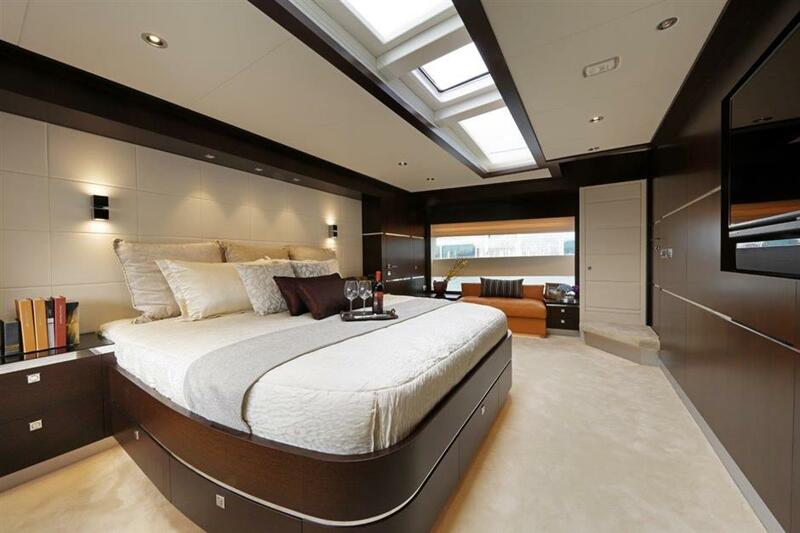 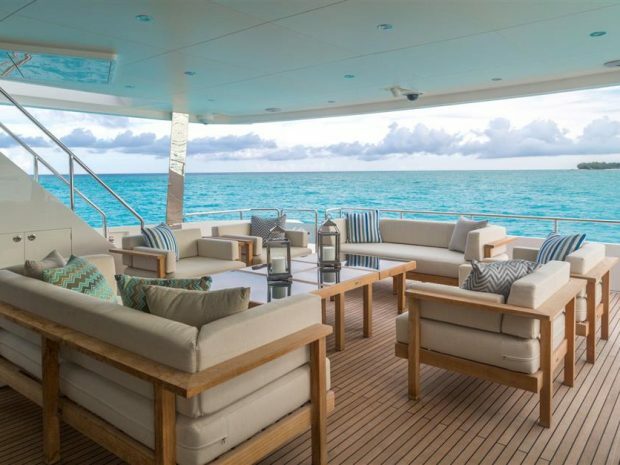 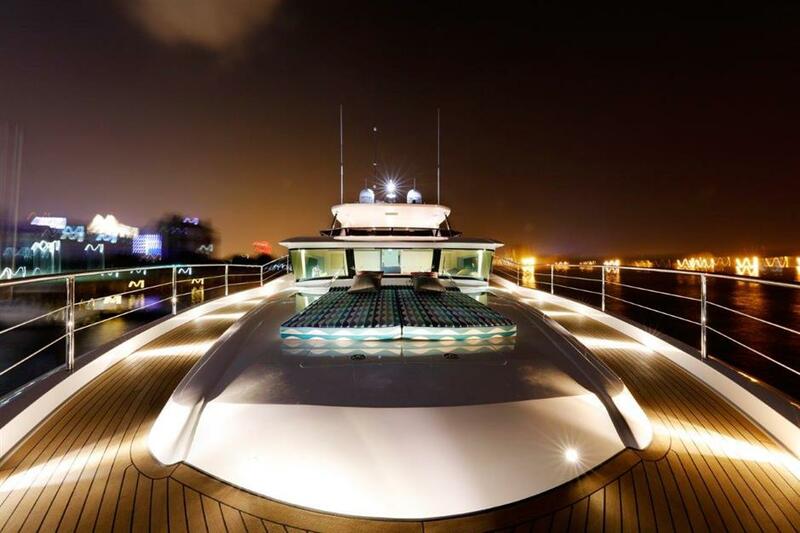 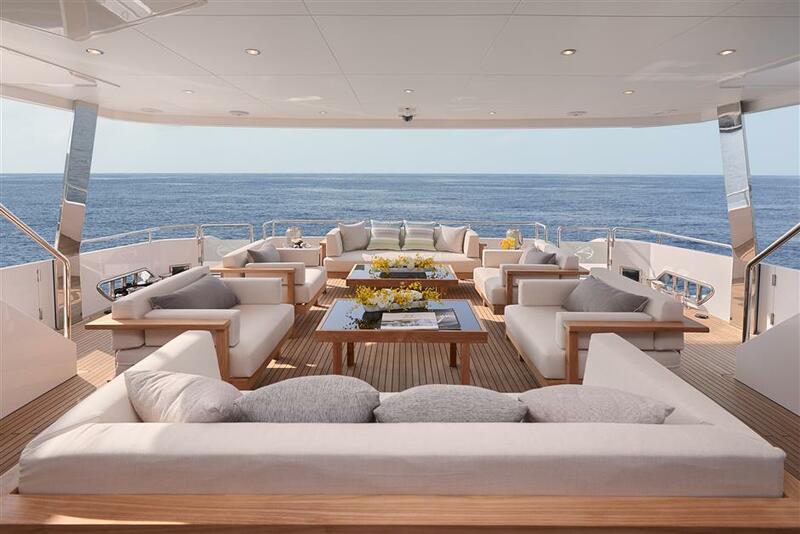 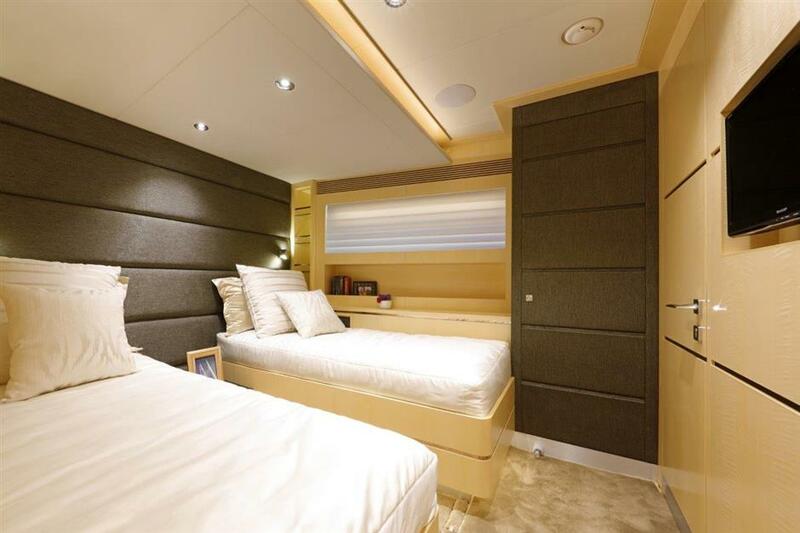 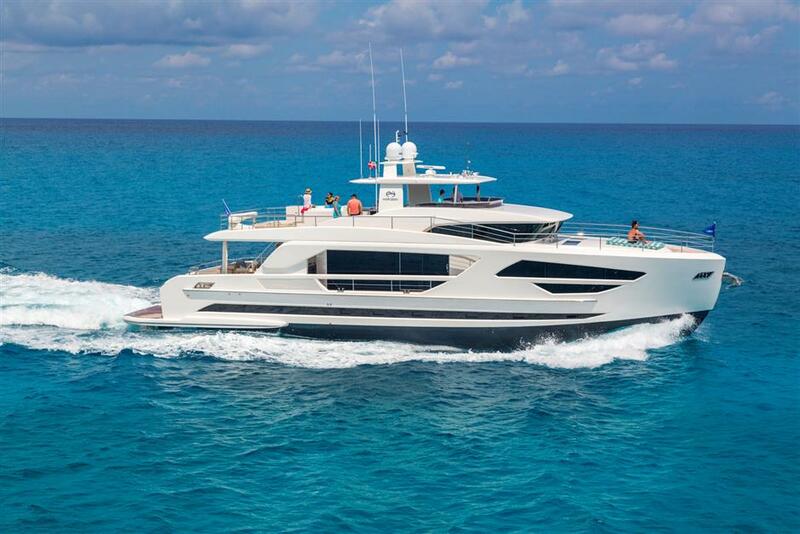 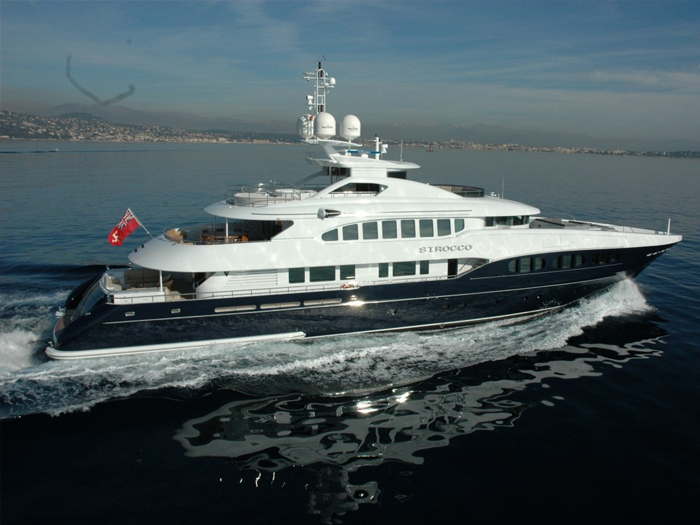 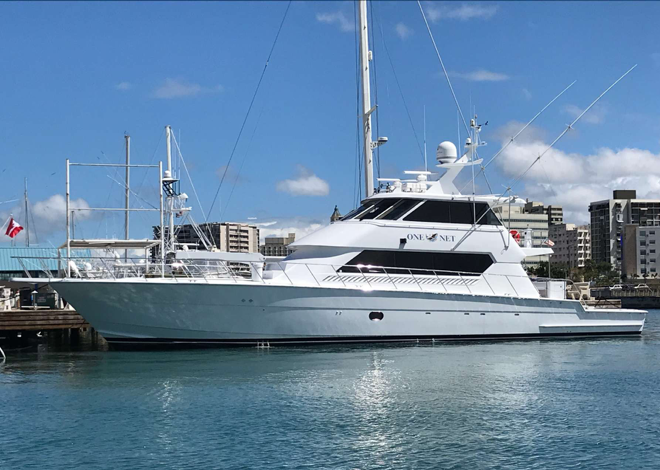 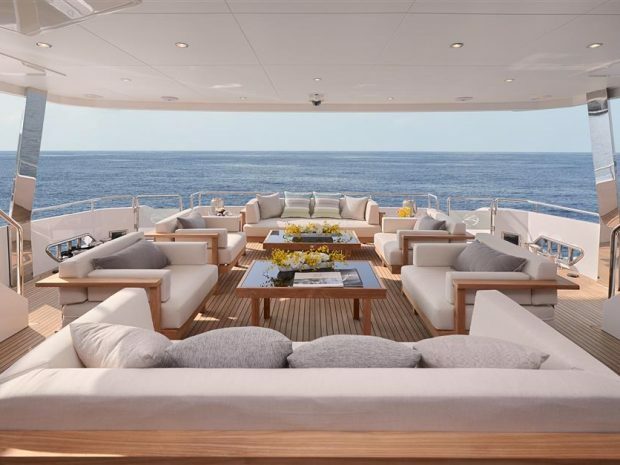 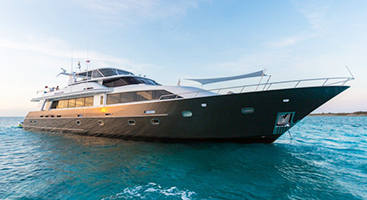 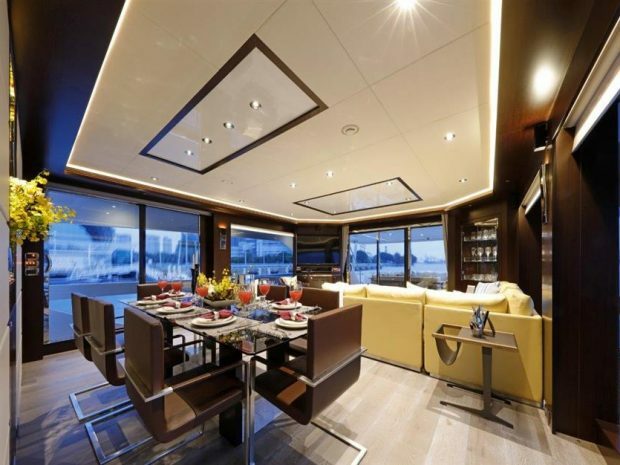 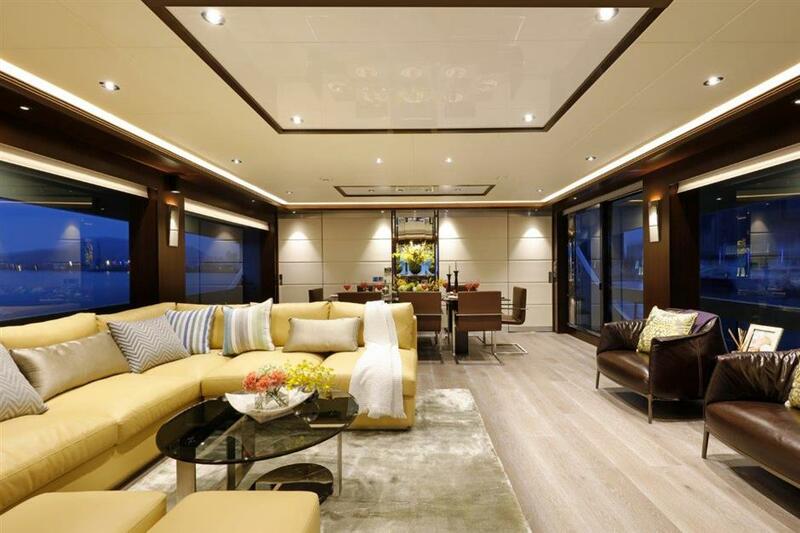 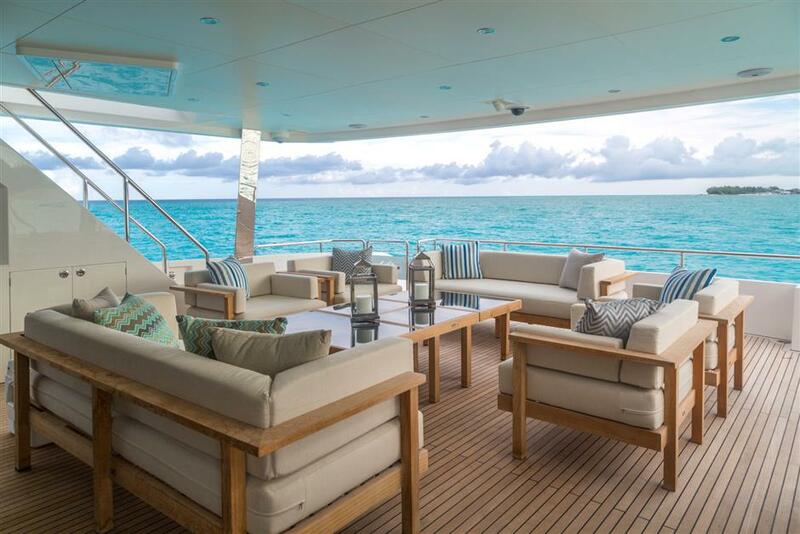 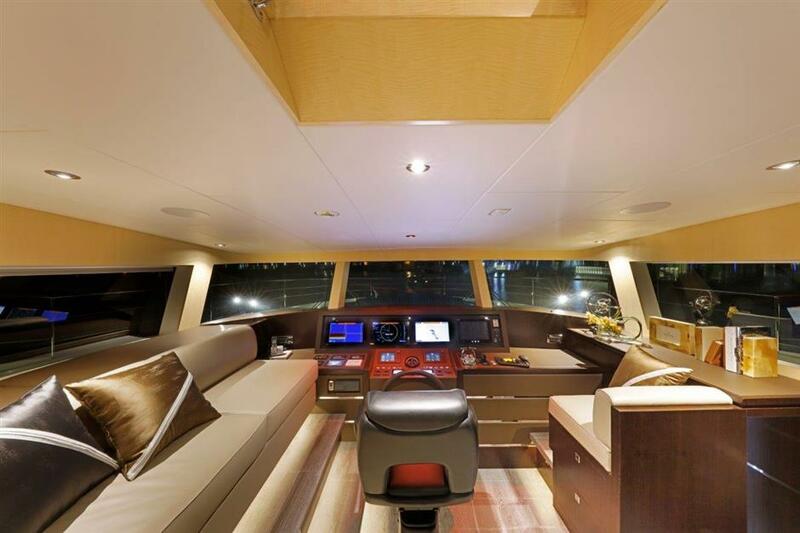 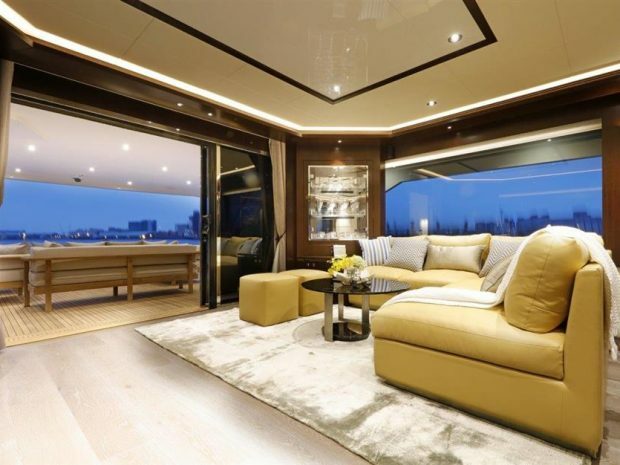 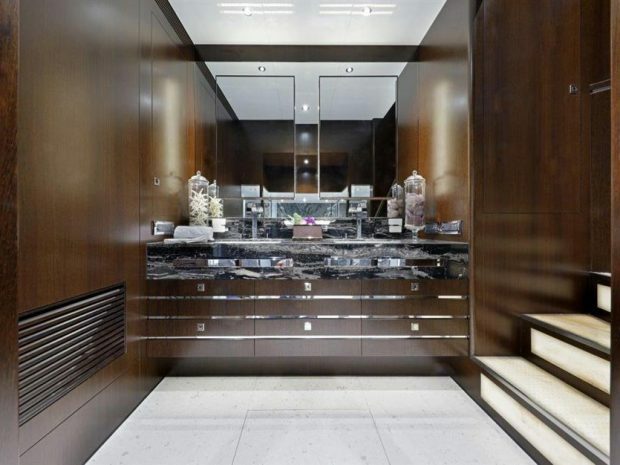 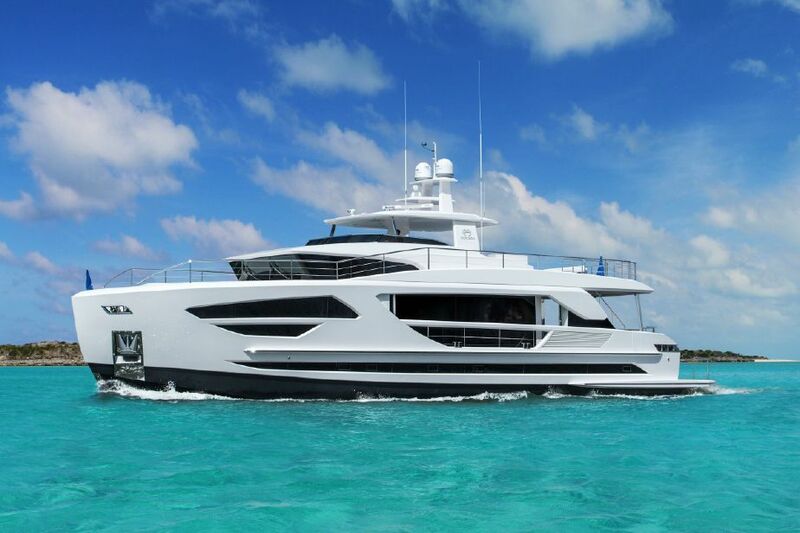 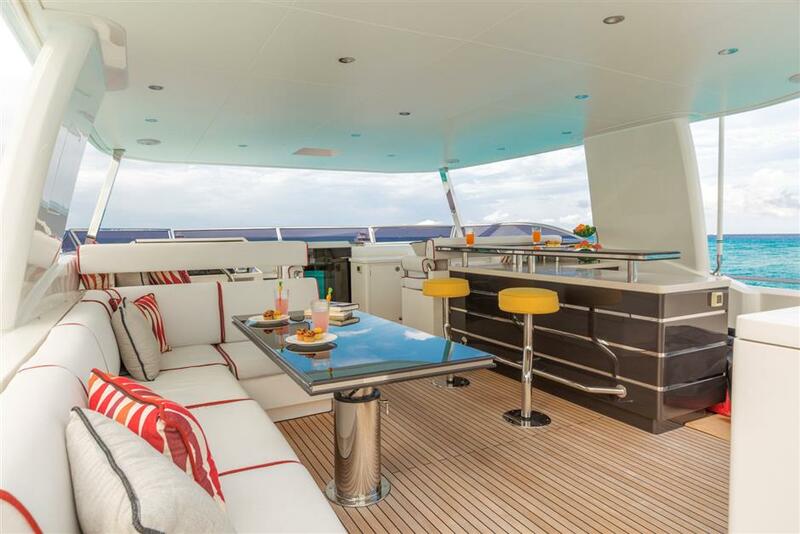 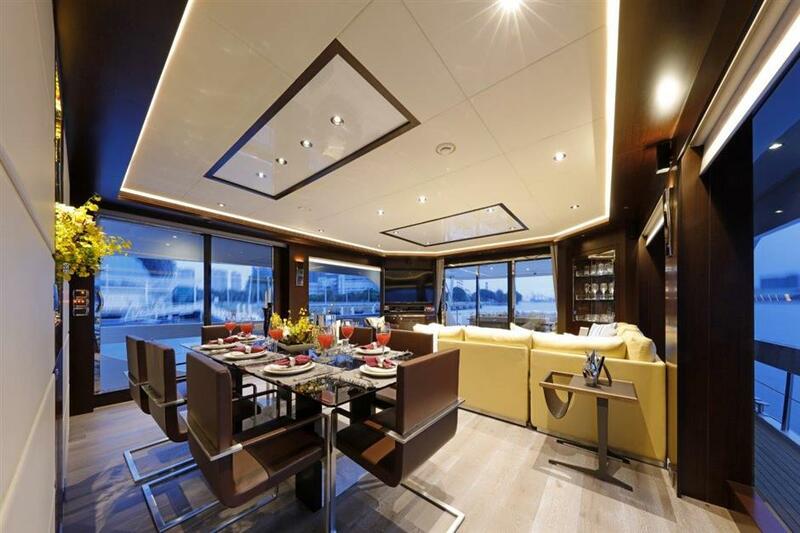 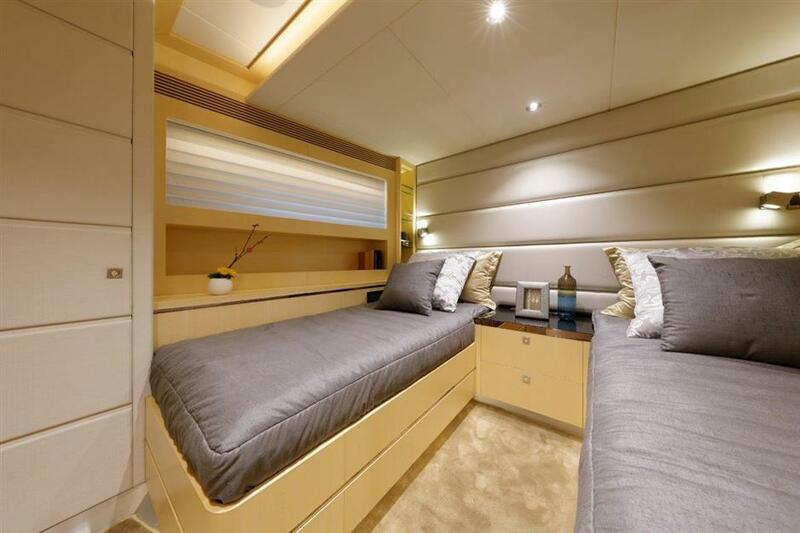 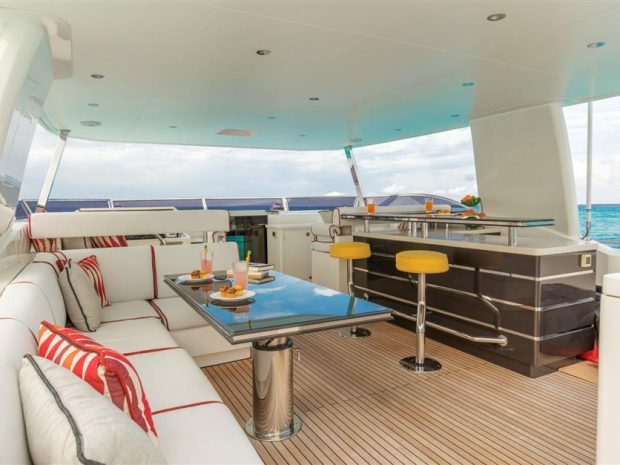 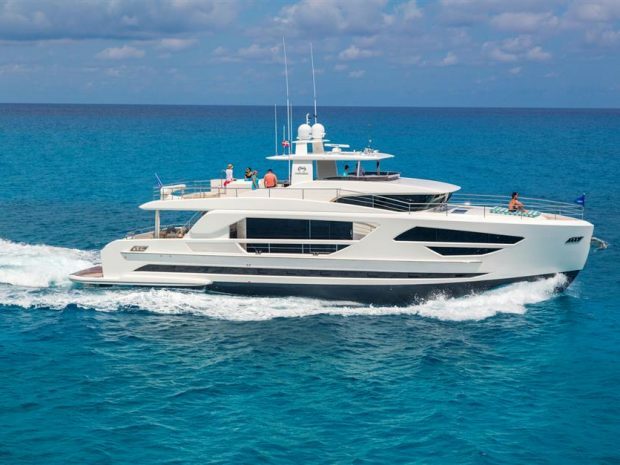 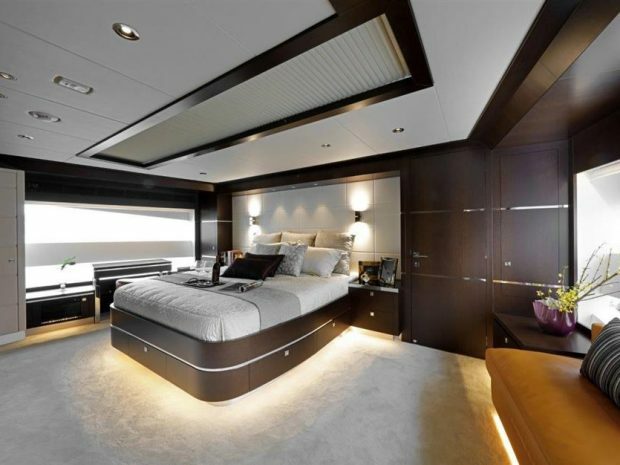 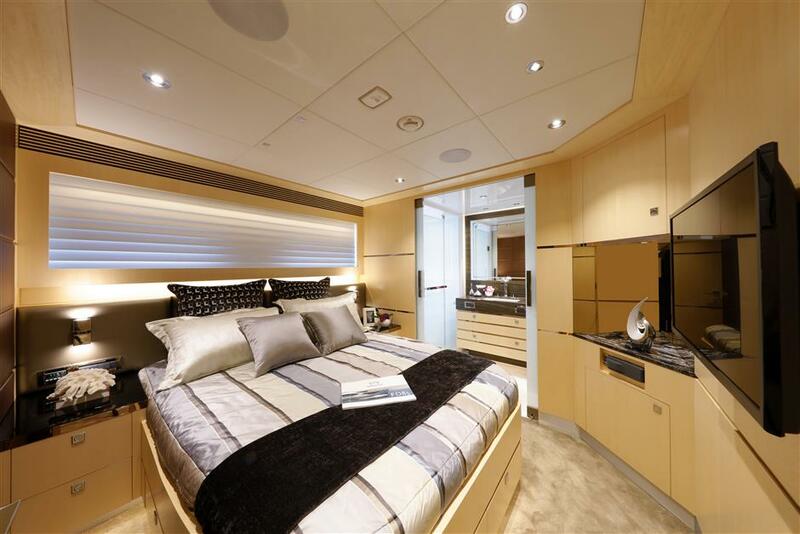 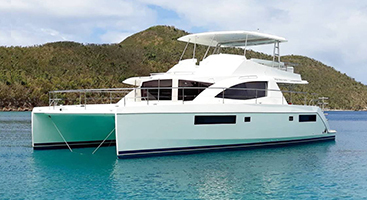 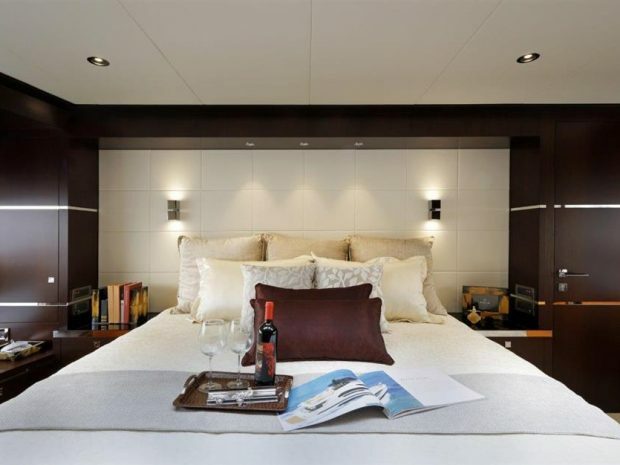 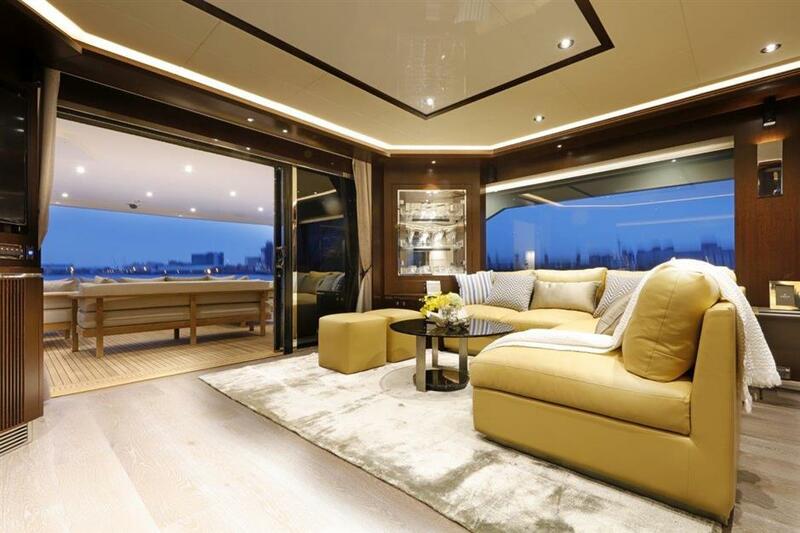 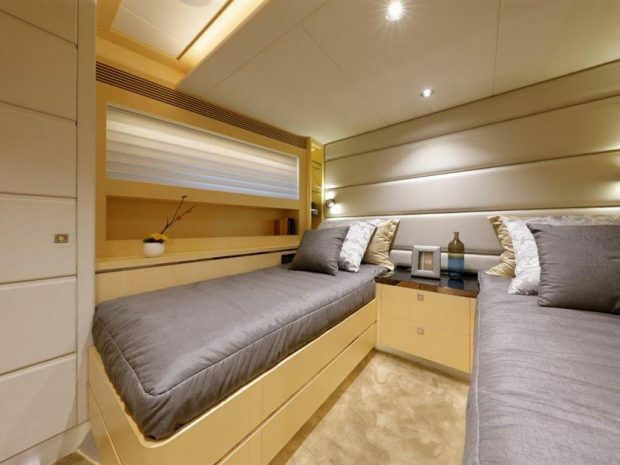 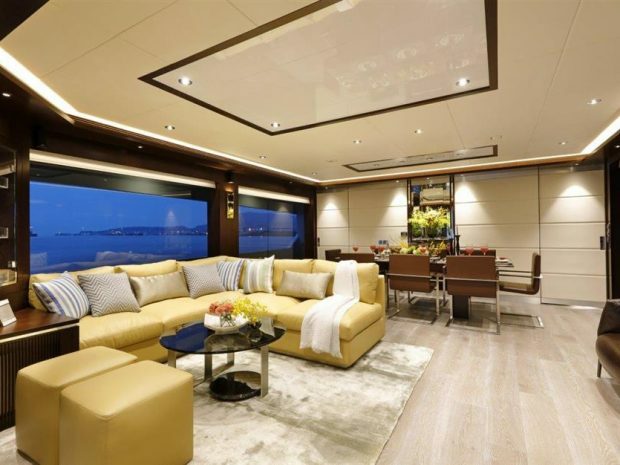 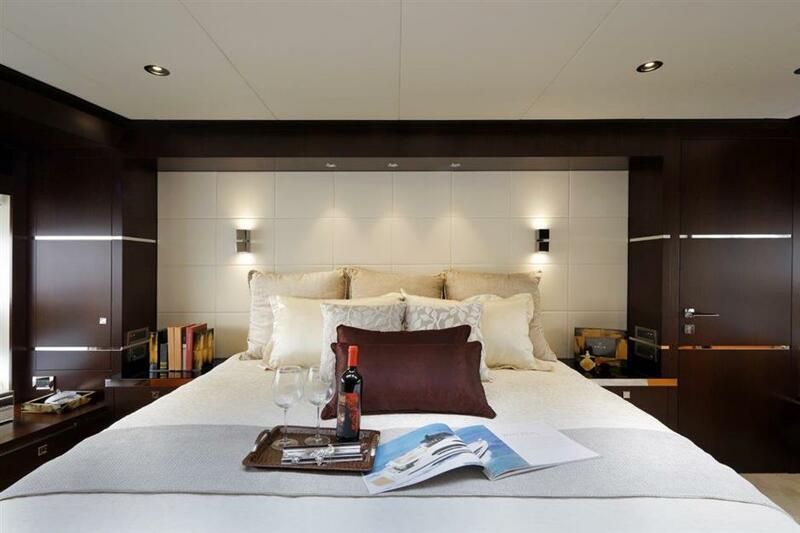 Angeleyes’ exterior and interior layouts were designed to take full advantage the volume provided by her 23 feet 3 inch (7.07M) beam, with separate areas for entertaining, relaxing and enjoying the surroundings. 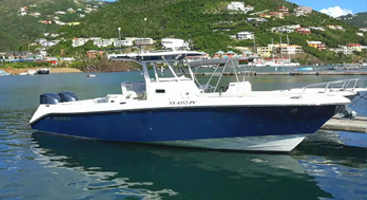 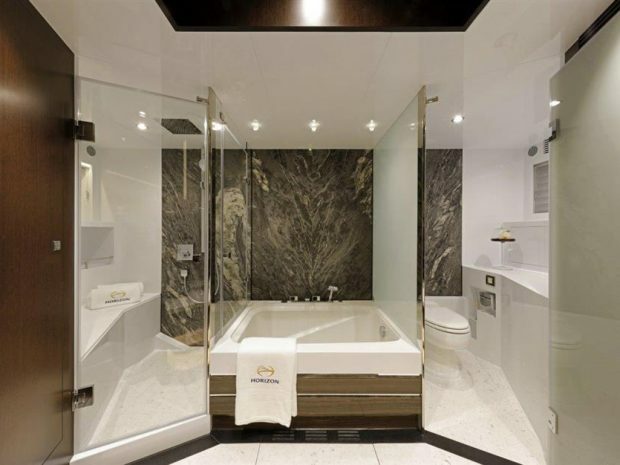 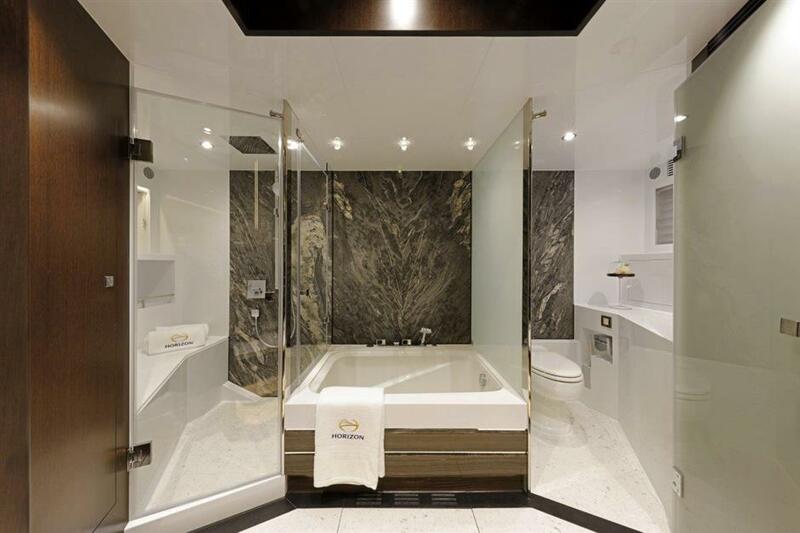 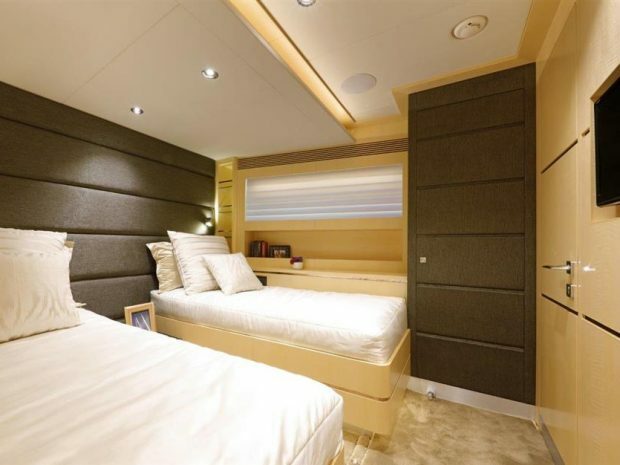 A total of five en suite guest staterooms are on board – a full-beam, on-deck master stateroom and four guest staterooms below deck – as well as crew quarters just forward of the engine room. 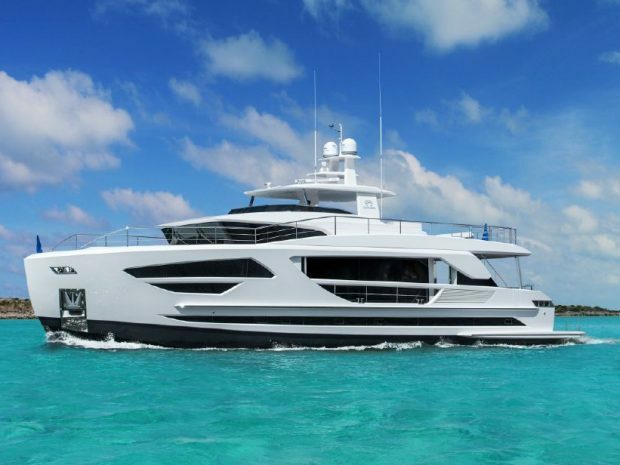 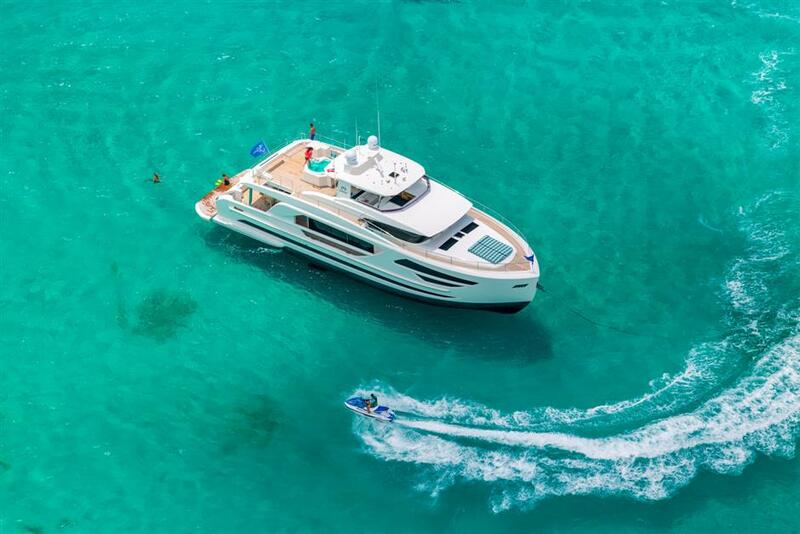 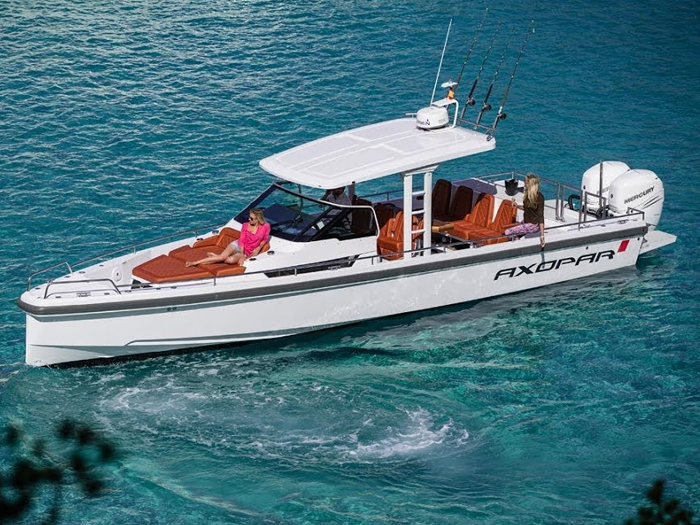 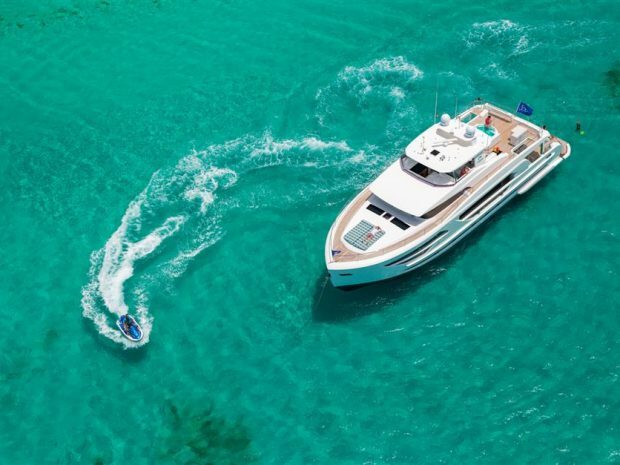 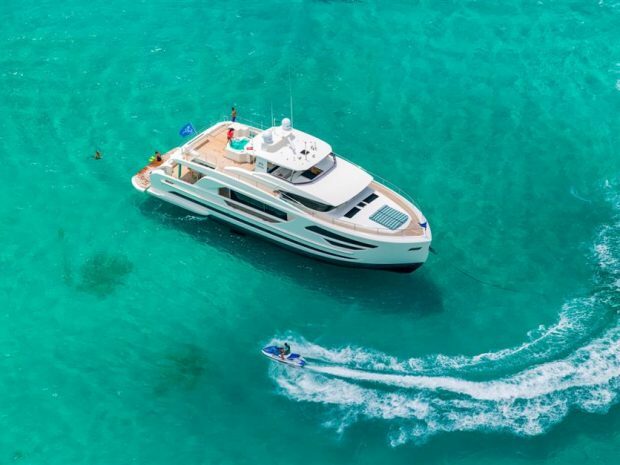 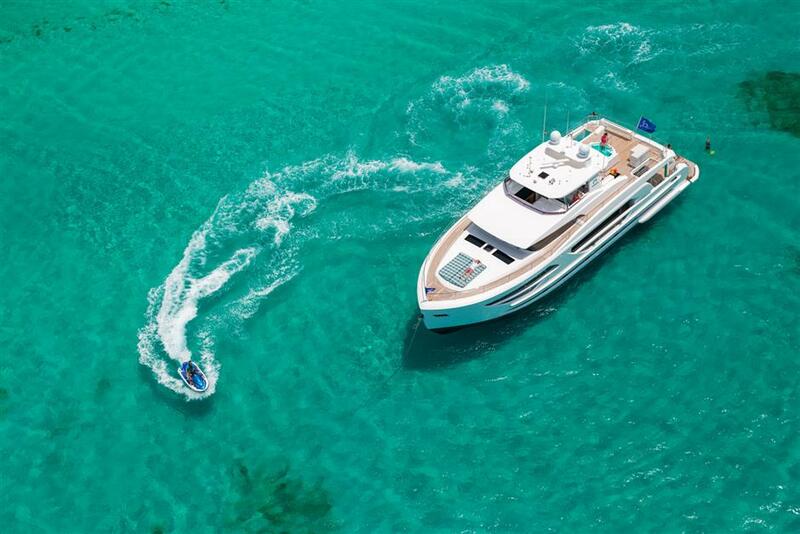 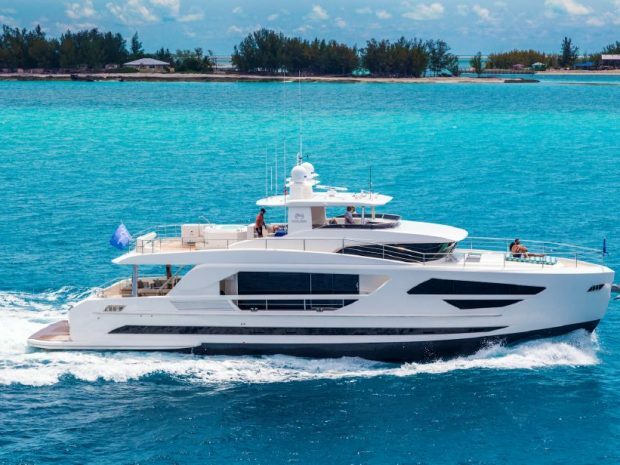 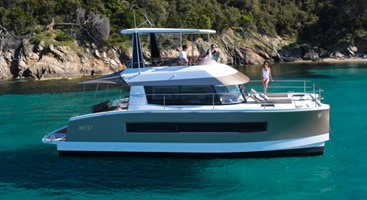 Angeleyes’ also features Horizon’s new High Performance Piercing Bow (HPPB), the FD85 is a truly advanced, mid-range motoryacht that incorporates cutting-edge design with functional living and entertaining spaces.